Lots of websites will give you fake deals. 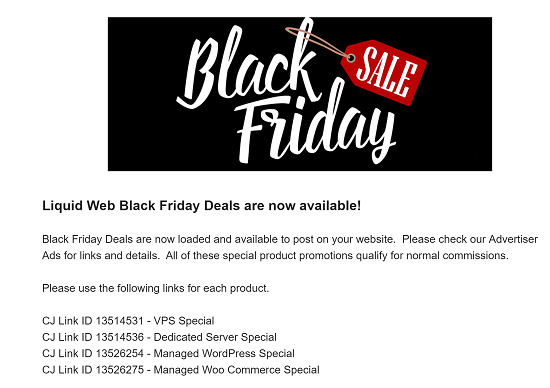 They just append the term “Black Friday” onto their regular links and call it a page. 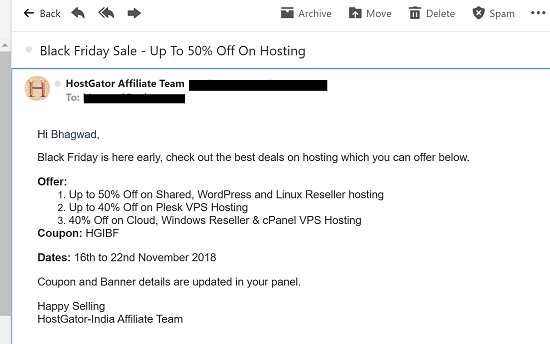 On WP-Tweaks, I will show you screenshots of the e-mails I receive from hosting providers as proof of the genuine Black Friday offers. So let’s get to it! 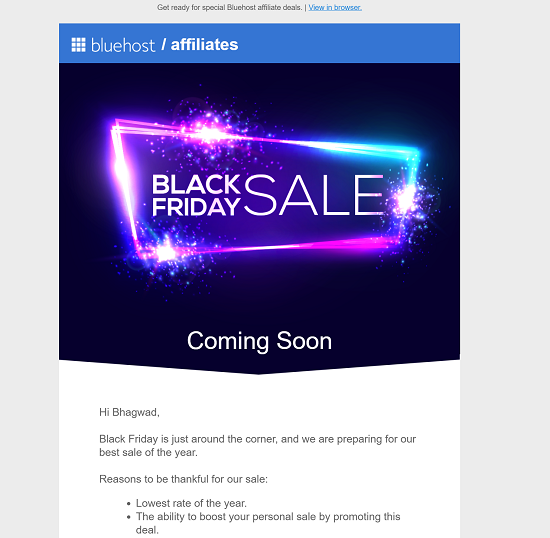 Here is the list of not just Hostgator Black Friday 2018 coupons, but also Small Business Saturday and Cyber Monday. These are just the coupons. If you want an explanation of how it works, check out my complete guide on Hostgator Black Friday coupons. On this link, you’ll get not only the coupons themselves, but an explanation of the hourly and global mechanisms so that you get the maximum discount! 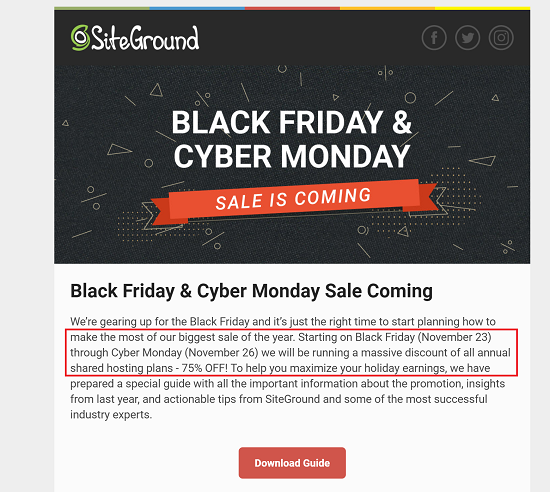 SiteGround rarely has sales – and Black Friday is one of them. For the rest of the year, they have regular SiteGround coupons with a maximum discount of 70% off on their “GrowBig” plan. The sale only lasts for three days. It’s even bigger than SiteGround’s Labor Day sale on which is 70%. So if you’ve been thinking about getting SiteGround shared hosting, this Black Friday is the best time to do it! These Liquid Web coupons for Black Friday just came out on the 16th of November! 50% off first 6 MONTHS! 50% discount first 6 MONTHS! Particularly attractive are the Managed WordPress and WooCommerce deals, which give massive discounts for 6 months as opposed to just the usual 2 months. To see their regular offers, click here for all the Liquid Web coupons. 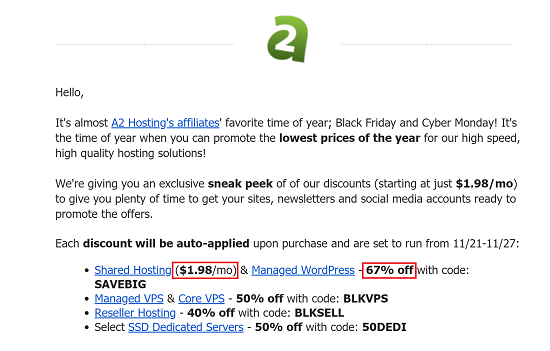 The usual discount for A2 Hosting is 51% with their ZIP51 coupon code. Here’s a list of A2 Hosting coupons for the rest of the year. But for 6 days in November, they increase their discount to a massive 67%. This brings their price in line with SiteGround’s for the duration of Black Friday. A2 Hosting is particularly notable for its cheap VPS plans starting at just $<a href=”https://www.wp-tweaks.com/recommends/a2-vps-unmanaged/”>$5.00/month</a>. Unfortunately, you can’t get any lower than this even on Black Friday. Their VPS discounts are only for Managed VPS and Core VPS. Not unmanaged! The sale will start on 23rd November Black Friday (MST) and will last 24 hours . The Cyber Monday sale will start on November 26th (MST) and will also run for 24 hours. It’s the 15th of November 2018 as I write this, and so far, still no news of their Black Friday deals. Here’s a complete Bluehost coupon code list as of now. I’ll update this section as soon as I know more, so check back soon! I’m guessing that their BF prices will go a bit lower than their usual $2.95 which is the maximum discount you can get with a 3-year subscription. 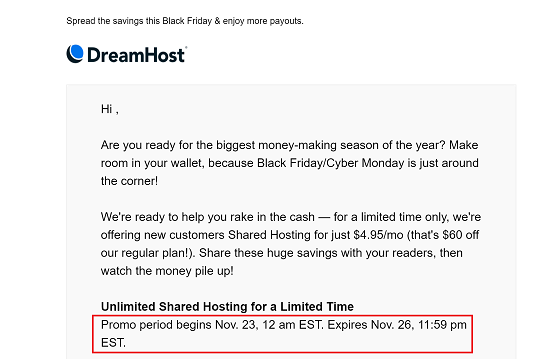 DreamHost’s Black Friday sale runs for 4 full days. Their regular DreamHost coupon is only 42% off. However, the Black Friday deal on their regular shared hosting plan is a whopping 60%! However, it ends immediately, and doesn’t have a grace period like other providers. So act quickly! These are the best web hosting Black Friday 2018 deals I’ve found so far. I hope you find it useful for your shopping!